Squamous cell carcinoma (SCC) is a skin cancer, which usually starts as a scaly or crusty raised lesion. It can ulcerate, it can bleed, it can become red and inflamed. 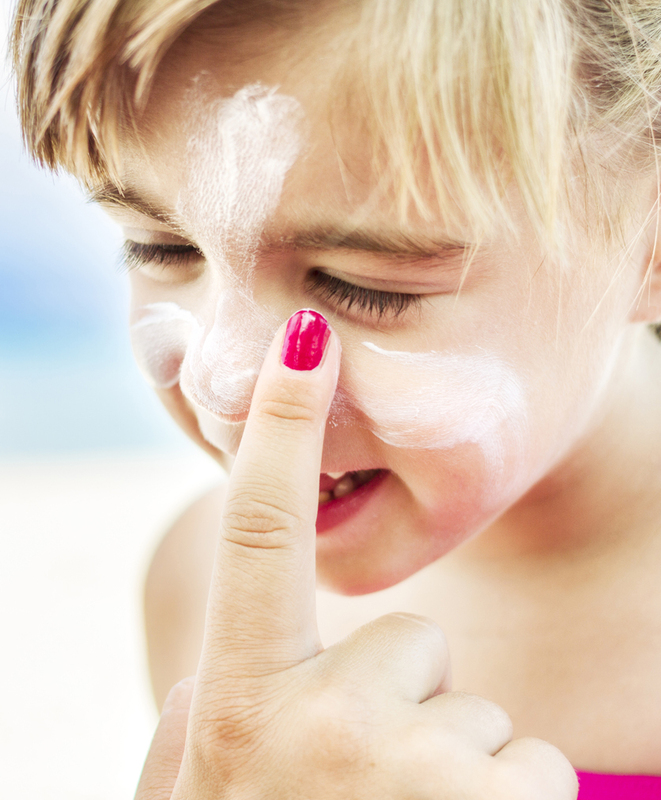 SCC is most commonly found on sun-exposed areas such as the back of the hands, the ears, the head and the neck. These lesions most commonly occur in the seventh decade of life. SCC is usually caused by sun-exposure, particularly in those individuals who have prolonged or repeated exposure (such as agricultural workers, builders, or out-door sportsmen or sportswomen). Individuals taking immunosuppressive medication after an organ transplant are also vulnerable. The diagnosis can be confirmed using a small biopsy: treatment is usually surgical removal of the lesion. Thick, scaly or rough patches of skin, are relatively common in sun exposed areas, particularly in older fair skinned patients. These lesions have been called pre-cancerous, as approximately 20% will form an SCC is left untreated. Actinic keratosis can be treated with cryotherapy (freezing with liquid nitrogen in the out-patient clinic) or with creams such as Efudix (topical 5% 5-Fluorouracil) or Solaraze. 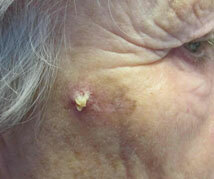 Squamous cell carcinoma in-situ (also known as Bowen’s disease) is a superficial, intra-epidermal form of skin cancer. Approximately 3-5% of lesions progress to form a thicker invasive cancer. Lesions usually preset as flat salmon-pink coloured plaques with an irregular border. A biopsy will usually confirm the diagnosis. Treatment options include: cryotherapy (freezing in clinic with liquid nitrogen spray), topical agents including 5-flourouracil, surgery, or for areas with poor healing potential such as the lower legs it may be appropriate to merely keep the lesion under observation. Squamous Cell Carcinoma of between 2 and 6 mm thickness are considered to be of moderate risk and are usually followed up at 6 monthly intervals for for 3 years. Men or women with skin cancer who have served in the British Armed Forces may qualify for a lump sum or regular pension. Veterans UK have a helpful team who will provide support and help patients complete any paperwork.